When it comes to diamonds, nothing quite strikes as much awe in people than carat size– especially when viewed at face value. 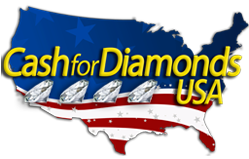 Sure, there are many factors that people consider when purchasing a diamond and most buyers would balance out the 4cs (carat weight, cut, color, and clarity) depending on their budget and personal preference. Some people might prefer a smaller diamond and choose to prioritize instead, it’s color (or lack thereof) and its clarity whereas others might not mind a few inclusions and a lower color grade in exchange for carat weight, which determines its physical size depending on the cut. We’re not here to discuss the pros and cons of choosing a bigger size over color, cut, and clarity. We’re here to find out the largest rough diamonds in the world and where they were discovered. Virtually all of these rare gems are not within the buying range of the average consumer but it doesn’t mean they can’t be admired. Below is a list of the largest diamonds ever discovered, along with their history and where they are now. In terms of carat weight, it is not the largest diamond ever discovered. It is, however, the largest rough diamond that is of gem-quality ever found. It weighed 3,106.75 carats when it was discovered in 1905 in South Africa. 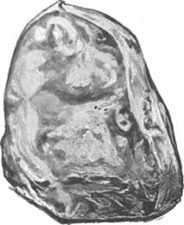 After two years in the market with no buyers, the Transvaal colony acquired it and gave it as a present to King Edward VII of the United Kingdom who sent it to the Asscher Brothers of Amsterdam (whose company later became widely famous and revered worldwide under the name Royal Asscher Diamond Company) to be cut into 105 different stones of various shapes, nine of which were cut into major stones with a total weight of 1055.89 carats. The other 99 stones were cut into smaller brilliant diamonds with a total weight of 7.55 carats. 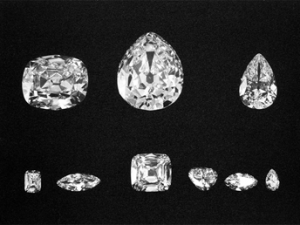 9 major stones cut from the Cullinan by the Asscher Brothers. Outweighing the Cullinan by 61 carats is the non-gem Sergio black diamond. Discovered in Lençóis, Brazil in 1893, the Sergio is by far the largest rough diamond and carbonado ever discovered. It is believed to be part of a meteorite, as is the case with most carbonados. Unfortunately, this black beauty was not cut for gem use, instead it was cut into increments of 3 to 6 carats and used for diamond industrial drills. The Lesedi La Rona in its raw state. 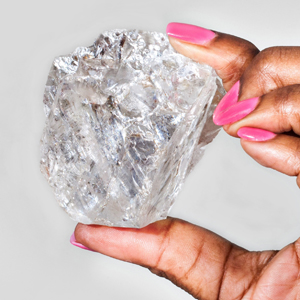 While only a little over 35% of the size of the Cullinan, the Lesedi La Rona diamond holds the title for the second largest gem-quality diamond ever discovered. It is also the largest gem-quality diamond discovered in over a century since the Cullinan. It was put up for auction by Sotheby’s in London in 2016 and was eventually sold to the British company, Graff Diamonds for USD 53 million (USD 17 million below its original expected sale value). The Excelsior Diamond was once the largest gem-quality diamond in the world before the Cullinan was discovered in 1905. It is revered for its unique color- a brilliant white with a tinge of blue. As it was far too large and magnificent to be sold to anyone, it was sent to the Royal Asscher Diamond Company to be cut into smaller pieces, which was considered to be one of the greatest tragedies to befall a diamond of such scale and beauty. The rough stone yielded 11 major stones, the largest of which (The Excelsior I) was cut into a pear shape weighing 69.68 carats. The smallest of the major stones derived from the Excelsior weighed 9.82 carats and was also cut into a pear shape. The rough stone yielded 11 more pieces but each one weighed less than a carat and was used in a variety of jewelry, including bracelets and tiaras. The Star of Sierra Leone is the fourth largest gem-quality diamond in the world. It was discovered in 1972 in a river in the Koidu area of Sierra Leone. 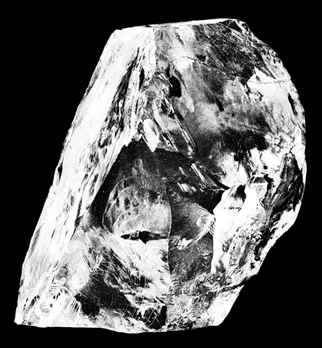 As it was recovered on a river bed, it is also the largest diamond ever discovered via alluvial mining. Harry Winston purchased the diamond in October of the same year and was cut by Harry Vos into 17 polished diamonds, 13 of which were graded flawless. The largest flawless diamond derived from the rough stone weighed 53.9 carats, cut into a flawless pear shape. Harry Winston used 6 of the diamonds derived from the rough stone to design a brooch which was aptly named the Star of Sierra Leone. The Incomparable Diamond was discovered in 1984 by a little girl in a pile of old mine garbage. At its original state, it was the largest brown diamond ever discovered, weighing 890 carats. 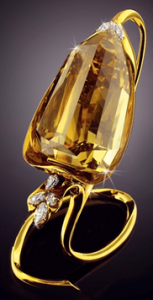 Uncut, it is of a yellow-brown color and is the fourth largest diamond ever discovered. The rough stone was cut into multiple polished diamonds with colors ranging from yellow-brown to near colorless. 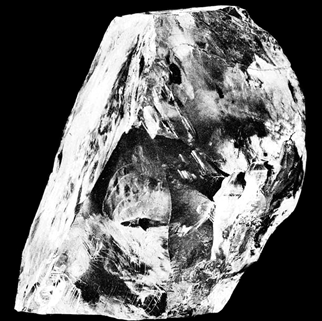 The largest polished diamond cut from the original stone weighed 407.48 carats and was given the name “The Incomparable Diamond” after it was graded flawless by the GIA. There were fourteen other diamonds cut from the original rough stone but only the biggest was given such a prestigious name. The Millennium Star Diamond is notable for being the second largest colorless diamond with the highest color rating of D (absolutely colorless). 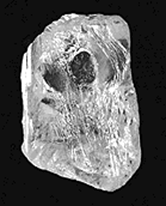 The original rough stone weighed 777 carats and was found in alluvial deposits in Congo (formerly Zaire). It is owned by De Beers who had the rough stone cut into a large flawless (both externally and internally) pear-shaped diamond weighing 203.04 carats, the photo of which is displayed above. The cut diamond was included in the De Beers Diamond Collection and was the highlight of the exhibit- hence, the name, Millennium Star.